Clifton Park is a town in southern Saratoga County in New York state. Surrounding towns include Halfmoon, Ballston Lake, Rexford, Ballston Spa, Malta, Mechanicville, Round Lake and Burnt Hills. Clifton Park is conveniently located between Saratoga and downtown Albany. A strong knit community, Clifton Park is home to the Shenendehowa Central School District, a top district in the Capital Region. 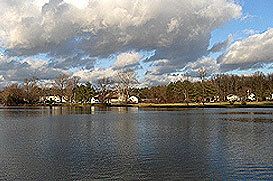 Communities in Clifton Park include Ballston Lake, Flagler Corners, and Grooms Corners, Rexford, Round Lake, Ushers and Vischer Ferry. The median home price in Clifton Park, NY is $257,000. 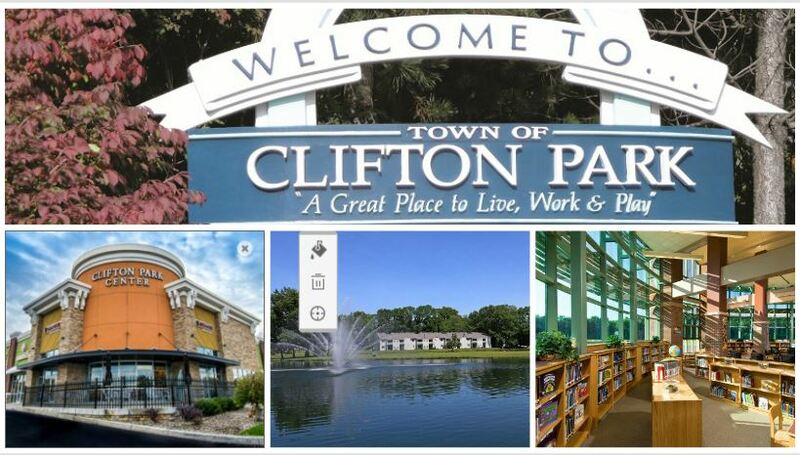 Clifton Park is a family-oriented community, bursting with several parks and hiking trails. Kinns Road Park and Mary Jane Row Dog Park are popular for both humans and canines. Take all of your family – including the furry, four-legged members, to explore and enjoy the scenic beauty. The Clifton Park Arena is a popular year-round venue, offering ice skating and hockey for everyone. Clifton Park also has one of the only skateboard parks operated by a town in the Capital Region. The Town of Clifton Park’s Barney Road Golf Course is excellent for beginner golfers, golfers up to challenging their short game and golfers with limited time. A number of leagues and special events are held at the Barney Road Golf Course throughout the golf season. The golf course is open seven days a week beginning in the spring, weather permitting. Clifton Park’s Summer Concert Series offers free entertainment Sundays and Wednesdays, June through August. Enjoy bands, musicals, open mic nights and more. In fall, go apple picking and celebrate the harvest at one of the many festivals and events held that time of year. Clifton Park Center Mall has 70+ shops, including Boscov’s, JCPenney, LOFT and Marshalls HomeGoods. They also boast unique eateries and boutique shops. The Clifton Park Center Mall is also the home of the 10 screen Regal Cinema.